Nothing but the sounds of Nature are coming from Death Valley National Park after a safety review of all sporting events has been called by new park Superintendent Kathy Billings, which will last until the end of the summer 2014, but this has not stopped neighboring communities from talking. All parties involved with sporting events in Death Valley agree safety is important and is a priority. Inyo County and event organizers are not saying they aren’t. The main question that Death Valley Superintendent Kathy Billings refuses to comment on is why it will take almost a full year to review the safety of about 11 sporting events. The PVT spoke via phone to District V Supervisor of Inyo County Matt Kingsley about his concerns and the county he represents. He spoke candidly about the Death Valley National Park decision to put a moratorium on sporting events in the park until after a safety review is conducted which will last until the end of September 2014. He also addressed the safety concerns and even provided some interesting alternatives to Death Valley Superintendent Kathy Billings’ proposal. 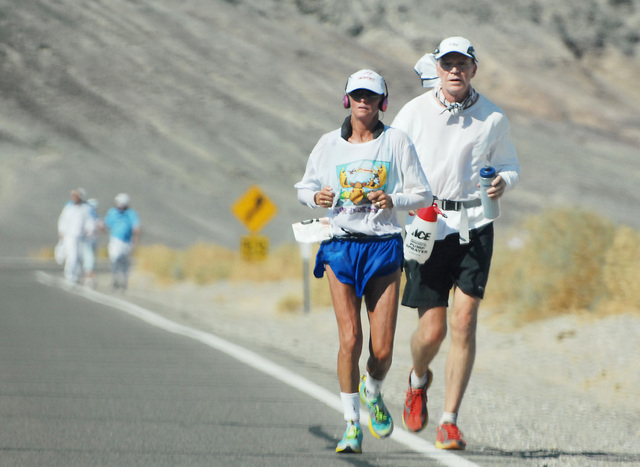 Q: How important are sporting events in and around Death Valley to Inyo County? A: There are a couple of signature events, the Badwater event being one of them and there are some cycling races too that are fairly historical. They have a long tradition and are very important to the area. All of the events add to people in Death Valley and in our county, the event increases our exposure and gets people to see our great landscape. Q: Would you agree with Chris Kostman, the organizer of AdventureCORPS events, that the Badwater event brings in about one million dollars and all sporting events in Death Valley affect jobs in the area? A: I don’t know about the million, but I agree that all of those events bring substantial money into Inyo County. Both through DOT tax revenues, restaurants, and people just spending money. Q: When you heard about the Death Valley safety review, did a lot of your constituents complain to you and has there been a big backlash? A: A lot of local businesses are really concerned about it and of course the businesses in Death Valley are where I got the most feedback from. I wouldn’t say that I had a lot of constituents concerned about it, but I certainly had some groups that were concerned about it. Q: When county events are held there are procedures that are followed for safety. How long does it take the county to review the safety of an event? A: I certainly don’t have experience on how long it takes the county to do something like that. We certainly have permitting procedures and these events have a number of layers of oversight. It’s not just the park, there is CHP (Calif. Highway Patrol), the county and they have complied with all of those and have a great safety record. Q: Then why does it take almost an entire year for Death Valley to look at the safety of these events when they have records right in front of them? There seems to be accurate information already available to the park, which can be reviewed and therefore such a long review probably can be avoided or at least sped up. Does this timetable proposed by Billings make sense to you? A: No one has ever died in these events. It seems a little unfair to target these events. I understand that they want to look at the safety of these events, but I agree totally that the idea would be to focus in on these events and get it done quickly and then make the adjustments. All of the operators seem very willing to adjust and have adjusted every year at the end of their event from suggestions from the park, so it is a little mind-boggling. I respect the superintendent wanting to insure things are safe. I think that is one of her duties, but I agree with you, the timetable does not make sense. Also, another option would be to do a safety review while the events are going on and spend some extra time with park service employees. They even can make the operators help finance that and take a look at what the issues really are, while the events are going on. That will actually add to the safety review. I suggested that at the meeting, (a meeting held with Death Valley on Dec. 11) take some of the long standing events and let them go forward and use them as models for their safety studies and that fell on deaf ears. Inyo County also offered to help the safety review if we could help it go quicker. That was another offer that we made. I think we are doing everything we can to both satisfy the superintendent and to take a look at the safety of it and keep the events going. I have to say that I do understand that she has the responsibility and the authority to take a look at the safety of the event and I don’t question that. I think it is important. Kathy Billings has put out a new letter in the last couple of weeks, that says starting in Oct. 1, 2014 they will accept applications for events that happen after Oct. 1. Q: Has there been any other moves to put pressure on the park through other means like congressional representatives? A: Yes, we have drafted letters and the Inyo County Board of Supervisors has a letter in support of not canceling the events to Senators Feinstein and Boxer. Q: What is the most frustrating aspect of this safety review to you and Inyo County? A: I understand their concern of safety, but I think what the park service misses out on is the importance of their relationship with the small communities that surround the park. Things like this are conducted in this way and don’t take any consideration to outside the park. I believe they are short-sighted. We live in a remote area and it is important that we have relationships that work between Inyo County, Death Valley National Park, the community of Lone Pine, the community of Pahrump, Shoshone and Tecopa, all of these places really have entangled roots and it is important to recognize those relationships. So I think that is one of the important aspects of this. This relationship is important to me and it does not seem important to the park. 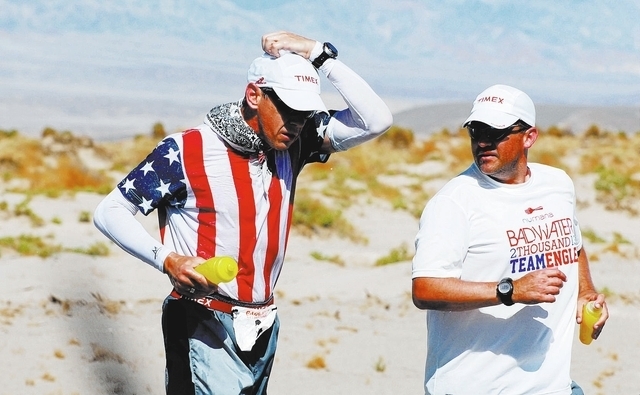 Q: Will you support fully the Badwater event that will run through your county that will not go through the park? A: We will support the new route for Badwater as well as the chamber of commerce. We are doing everything we can to get him (Chris Kostman) through this one year in hopes he can hold this historical event for we don’t know if he can maintain that event.